Biography: Jonathan Gibbs is a writer and journalist. His debut novel, Randall, or The Painted Grape, about the YBAs and the contemporary art scene in the 90s and since, is published by Norwich-based indie Galley Beggar Press, and was longlisted for the Desmond Elliott Prize. 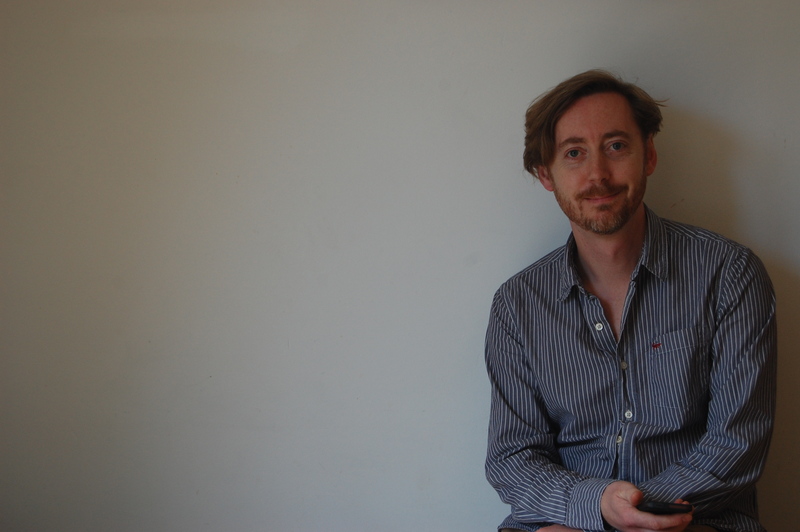 His short fiction has appeared in Lighthouse, Gorse and elsewhere, and been collected in the Best British Short Stories 2014 and 2015, and shortlisted for the White Review Prize. His writing on books has appeared in The Independent, Guardian, Telegraph, TLS and various other places. He took an MA in Creative Writing and a PhD in Creative and Critical Writing at UEA, and has taught Creative Writing there. He lives in London with his wife and three boys. Links to blog posts: A couple of recent blog posts from my site: Why do you write? The impulse inwards and the impulse outwards and The pleasure of the text, and the pleasure beyond the text – thoughts on a part-read Peter Stamm novel (chosen as a WordPress ‘freshly pressed’ featured post). I’m also doing a blog project with Brooklyn’s Melville House publishers, reading and writing about all of the Art of the Novella series in a year – details here. Writer Superpowers (specialist subjects): As well as readings based around Randall and my writing, I have appeared on panels and radio programmes (such as Radio 4’s Open Book) to talk about topics such as art and philosophy, book design (I write a now occasional blog on the subject for The Independent) and gender bias in literary culture. I like talking about these things. I want to do more of it. I’d also be happy to talk about reading with children (and boys) and the like.